I scarcely know of anything but those two harbors at dusk painted by Claude Lorrain – which are in the Louvre and which juxtapose extremely dissimilar urban ambiances – that can rival in beauty the Paris Metro maps. I am not, of course, talking about mere physical beauty – the new beauty can only be a beauty of situation – but simply about the particularly moving presentation, in both cases, of a sum of possibilities. The development of global satellite technology has made it easier for most people not to experience any longer the poetry of being lost. Atlases have also become nearly redundant. One unintended side effect, however, of computerized mapping technology, which gives precision, has been the return, indeed, a veritable revival, of the hand drawn map which is now being used as a poetic object or process. Recently, Becky Cooper’s Mapping Manhattan: A Love (and sometimes Hate) Story in Maps by 75 New Yorkers (2013) was a revelation about the many and varied experiences and expressions of a place which could be captured in the hand drawn map. Amongst the many books that herald this return to the hand drawn map are Katharine Harmon, You are here: Personal Geographies and Other Maps of the Imagination (2004) and The Map as Art: Contemporary Artists explore Cartography (2009) edited by Katharine Harmon. Nato Thompson’s Experimental Geography (2008) has done much to extend the tradition of avant-garde mapping into new modes and areas of research, to make the map, that is, a tool of research. For each person there is a mapping of experience or environment that is distinctive. 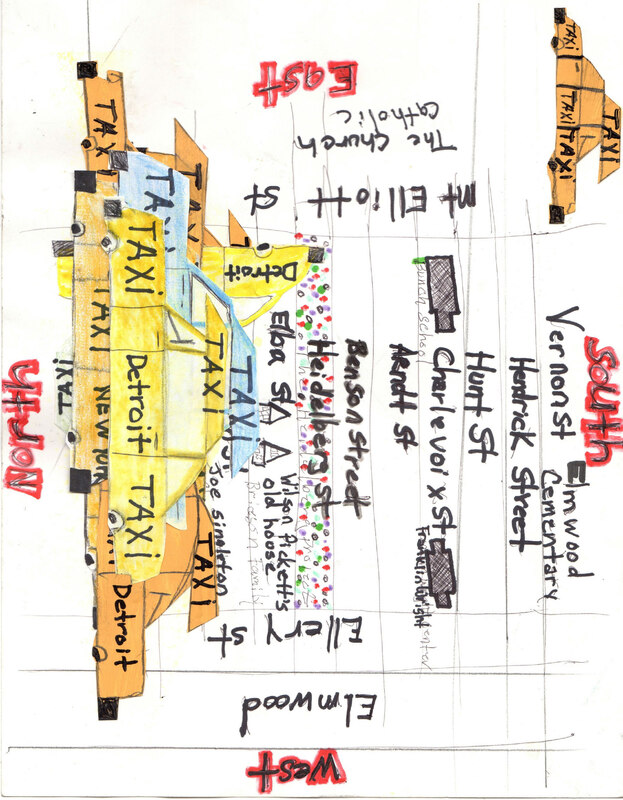 In this issue of Detroit Research we publish a hand drawn map by Tyree Guyton to inaugurate a series on Drawing Detroit. For future issues we invite readers to submit hand drawn maps of their Detroit.